It is very good if you are reading this post and some or all of my others. It demonstrates that you are on the right track to taking care of yourself and your loved ones when we have a lot of record setting disasters and then keep setting new records for disasters. This is not enough. You must take action to keep yourself and your loved ones safe in the future. If you have absolutely no money available to invest in preparedness, there are still things you can do to make yourself and your loved ones safer. One of these is to learn how to make fire without matches or a lighter. Reading about how to make fire is not at all the same as doing it enough, so that you can do it later when you are under stress, because your life and the lives of your loved ones depends on it. Before you begin your Dakota stove cut out a circle of live plants from the top of the earth where you plan to dig. 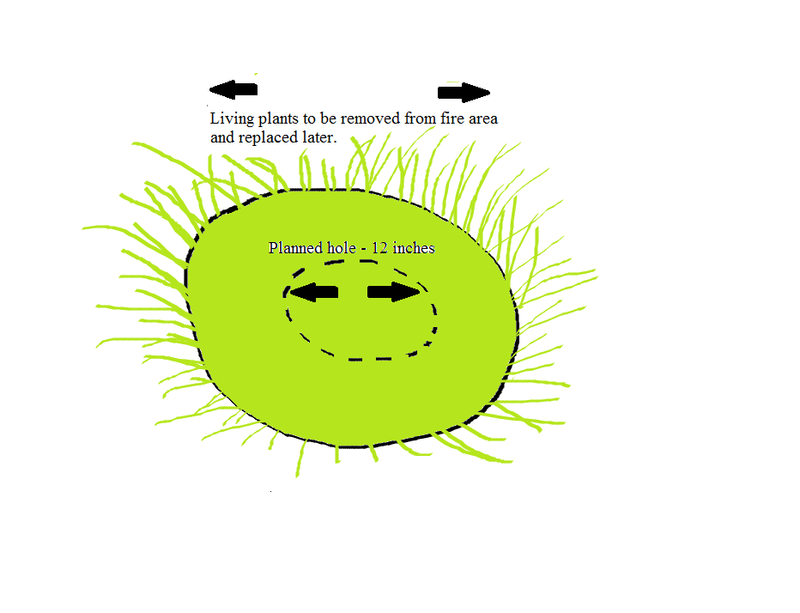 Carefully remove the live plants and set them aside so that you may replace them later when you are through with your fire. 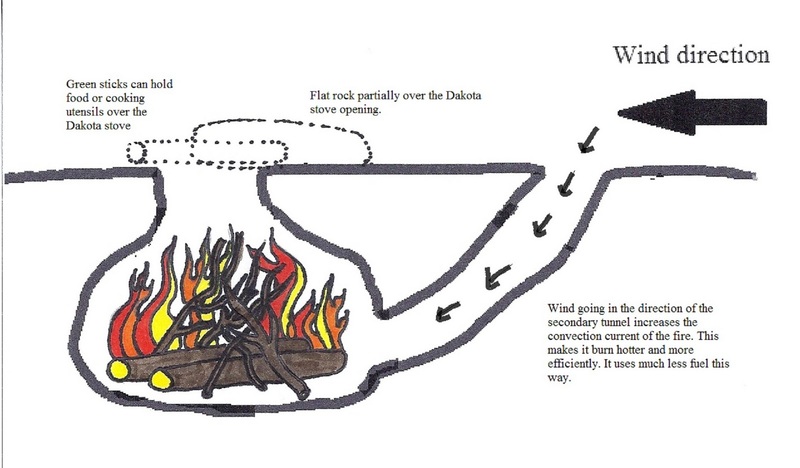 You can also learn to make a Dakota stove, which is a hole in the ground. 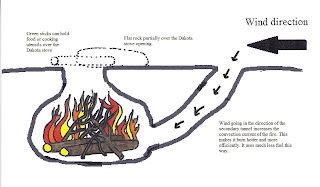 The above is a diagram of how you dig the Dakota stove. 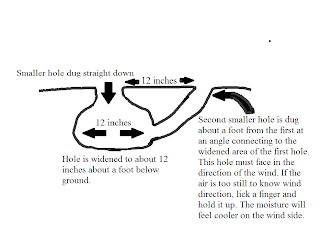 You may copy or print it out because it is my drawing and I want you to learn this. I believe it may save your life. Please give me credit if you pass it on to other people. It may save other lives if they know where to find more information. 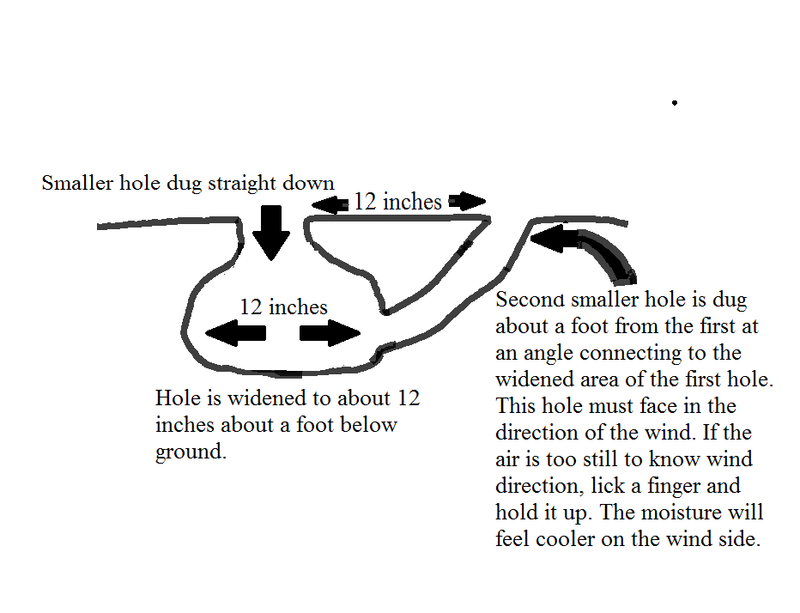 Build your fire in the widened hole area. Be stingy with your fuel for the fire. This is a form of rocket stove and is very fuel efficient and therefore non-polluting. It will even burn the gases given off by your fuel. It also has the advantage of not making a lot of smoke which is good for hiding your fire and so is having the fire below ground. It is easy to put out your fire when your are through with it. Here is a picture of the fire in your Dakota stove. Do not do this where it may cause a fire. Peat comes to mind, for example. 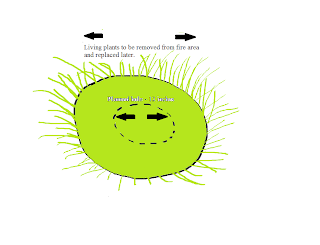 Clear a good area away from the fire of flammable stuff like dry grass and leaves. Be sure to put out your fire before you leave and replace the live plants you removed when you began your Dakota stove. I have not done this myself because the ground is frozen solid outside and I don't have a jackhammer. I plan to do this when I have some dirt out there I can dig into. There is nothing like drawing with a mouse to engrave something into your mind. I expect I have the theory down pretty well now. I already posted on fire, and how to make your own waterproof matches. I hope you will put something in your go bag that will help you to make a fire in your Dakota stove. Some people probably wonder why it is called a Dakota stove. It is named after an American Indian tribe that invented it hundreds of years ago. We have them to thank for this great idea. People already owe their lives to the Dakota tribe and a lot more will in the future, I am sure. If you learn this, maybe you will be one of them. Thank you for your post.This will be a fun and instructive activity for my family. Thanks for your comment. I am happy that my post is helpful to you and your family.